uTorrent is the productivity tool that enables users to download torrent files from the internet. UTorrent is BitTorrent client app, it takes seconds to install on Windows 10 PC/laptops and other Windows powered devices such as mobile phones and tablets. uTorrent for Widnows 10 is the best torrent client which is packed with easy to understand features and user-friendly interface where options are nicely laid out so that even new users can easily handle multiple downloads. Speed of downloads in uTorrents has been the highest among any other torrent client app but even uTorrent is not impervious to slow downloads due to shoddy internet connection. 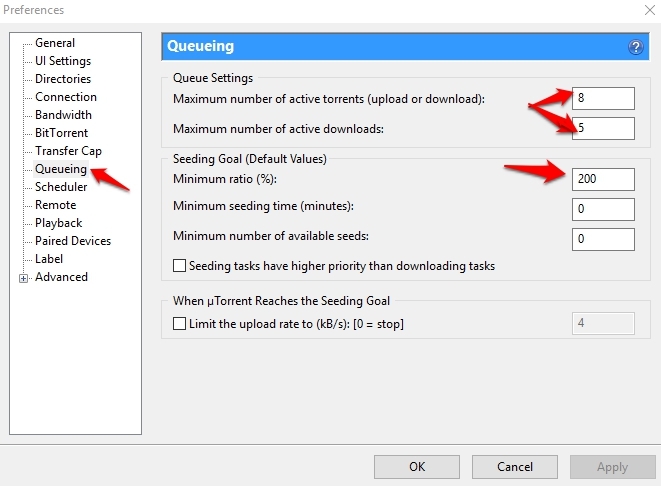 In this post we are going to show you how to increase download speed on uTorrent when downloading files from internet on Windows 10 PC/laptops. Before anything else make sure that you are using the best BitTorrent client on the market, many make lofty claims but fail to deliver on the promise of providing great download speed. We suggest that you use uTorrent as it is the most complete feature laden torrent client currently available. Or use Internet Download Manager to download files at increased speed on uTorrent. Pick the torrent file that has the highest number of leechers and seeders. Or else check internet speed to see if that’s been the reason behind slow download, contact your internet service provider in that case. Despite using above tricks if the download speed has not undergone a marked improvement then uTorrent users who use it regularly for downloading files from the internet would find guide below helpful to increase uTorrent download speed. 1- First of all make sure that the latest version of uTorrent is installed on your Windows 10 PC/laptops. Download uTorrent here. 2 – Install uTorrent by following simple onscreen instructions. 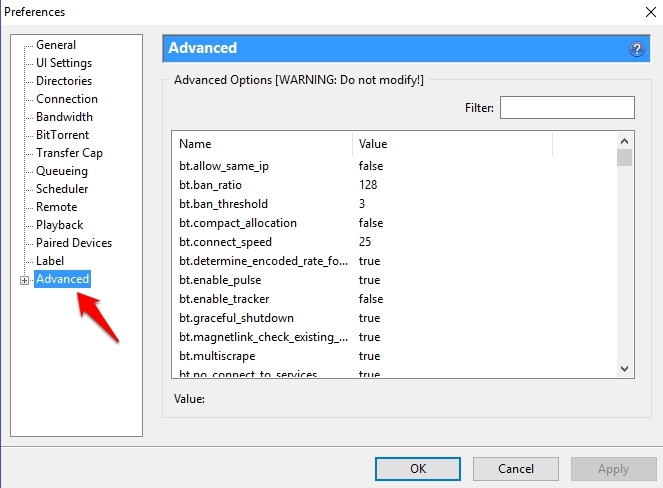 3 – Open uTorrent and navigate to options > preferences. Set ‘Maximum upload rate’ to 10 from 0. Enter 14 instead of 4 in the box next to the option ‘Number of upload slots per torrent’. 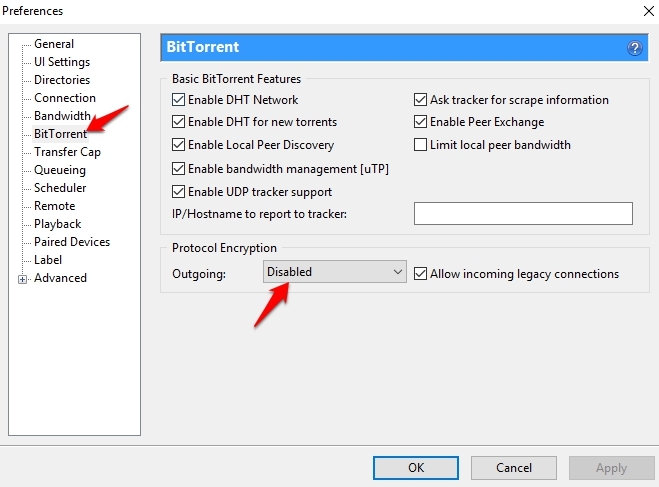 6 – Next click BitTorrent option and on the right window pane under Protocol Encryption change Outgoing from ‘Disabled’ to ‘Enabled’ from drop-down menu. 9 – All done. Now download torrent files via uTorrent at an extremely high speed. 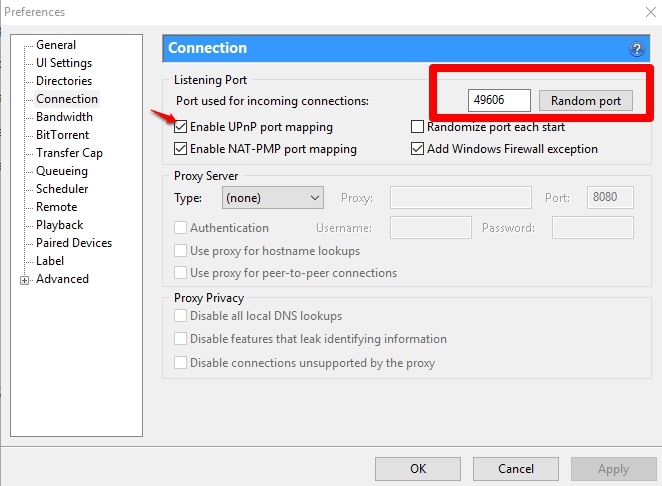 Please note that the above mentioned method does not increase download speed above bandwidth limit set by your internet service provider, this works for torrent files with low seeds and peers and improves download speed around the broadband speed range set by the internet service provider. However, users having unlimited broadband connection are likely to see a significant jump in uTorrent download speed. We would like to bring this to your notice that the above mentioned method is intended for help and information purposes only. We do not claim any responsibility if download speed declines or fails to improve after following the method above, so follow it at your own discretion. However, the guide more likely should work as intended for most users. For more on AppsforWin10, Read: How to install Google Services & Google Play Store on Remix OS for PC | How to Download Any Android App For PC running Windows 10, 8.1, 8, 7 or XP.